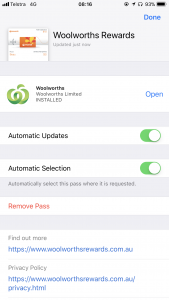 Woolworths have become the first retailer in Australia (and one of the first worldwide, with only Walgreens, Coke and Kohl’s onboard elsewhere) to bring their ‘Woolworths Rewards’ program to Apple Wallet. 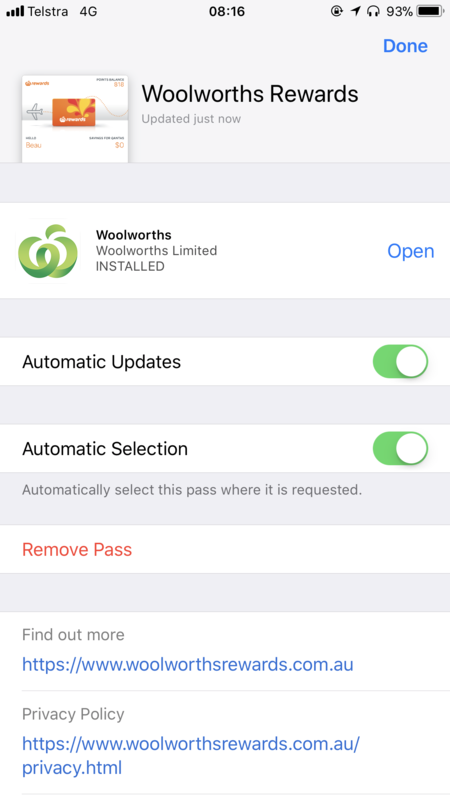 One of the main benefits (and differences) between your Woolworths Rewards card in Apple Wallet, and using other apps such as Stocard, CommBank or even Woolworths’ own apps (be it Woolworths, Woolworths Fuel or Woolworths Money), is that passes in Wallet have the ability to be transmitted over NFC. Rather than doing the wave with your phone under the barcode reader in the hope that it’ll scan properly, you just need to tap your phone on the eftpos terminal. And even better, it works on the watch too. Plus – no need to unlock your phone or open an app. 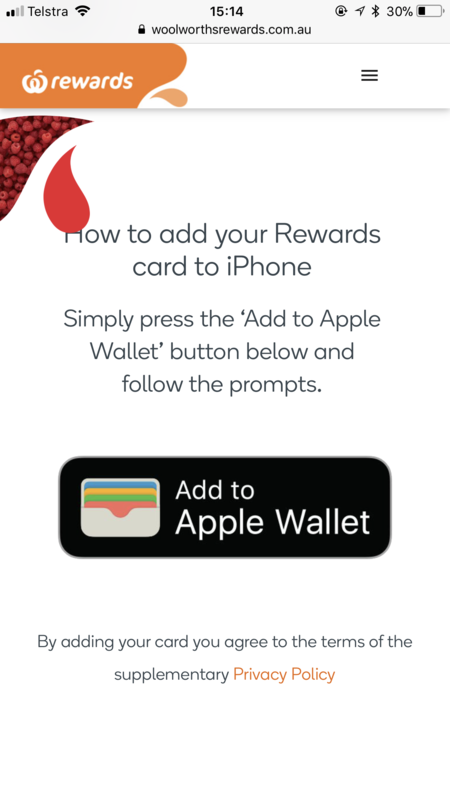 Getting started with Woolworths Rewards on the iPhone is easy. 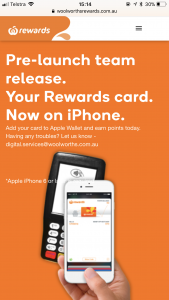 Just head to woolworthsrewards.com.au/iphone on your iPhone, log in with your Woolworths Rewards account, and tap Add to Wallet. As part of this, you’ll want to ensure you’ve got ‘Automatic Selection’ enabled. 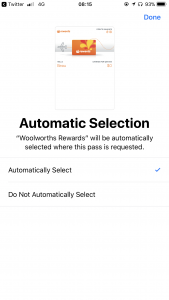 This means that when you hold your iPhone to the terminal at Woolworths, your Rewards card will automatically appear and you’ll just need to authenticate to use it – rather than having to open Wallet and find the card. It’s similar on the Apple Watch – rather than double clicking the side button and swiping to your Woolworths Rewards card, it’ll automatically be selected and apply when you hold your watch to the terminal. And that’s it! 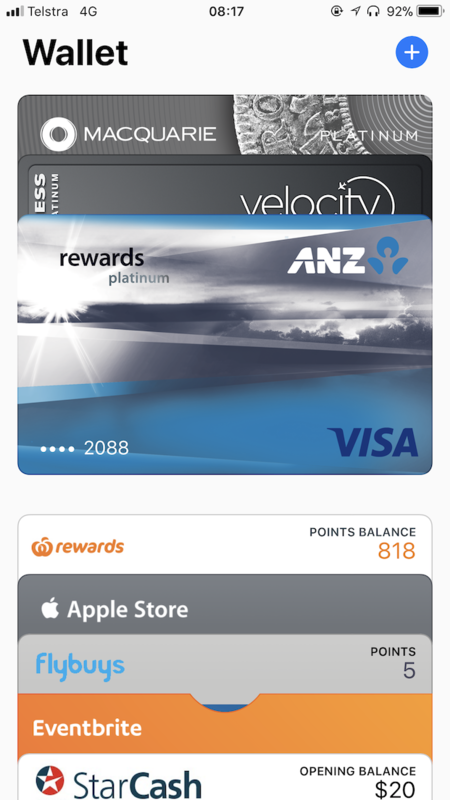 Your pass then lives in Apple Wallet, and your points balance will automatically update within about two hours of using it. 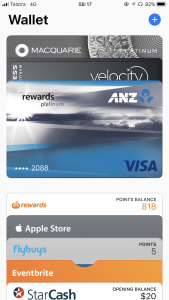 It can be used at Woolworths, BWS and Woolworths Metro. It ‘may’ not work at Caltex Woolworths stores, and at this point any fuel discounts won’t apply. (luckily you tap ‘Show Code’ on the pass to get an old school barcode to be scanned if need be). It also won’t work at Big W nor at Dan Murphy’s. 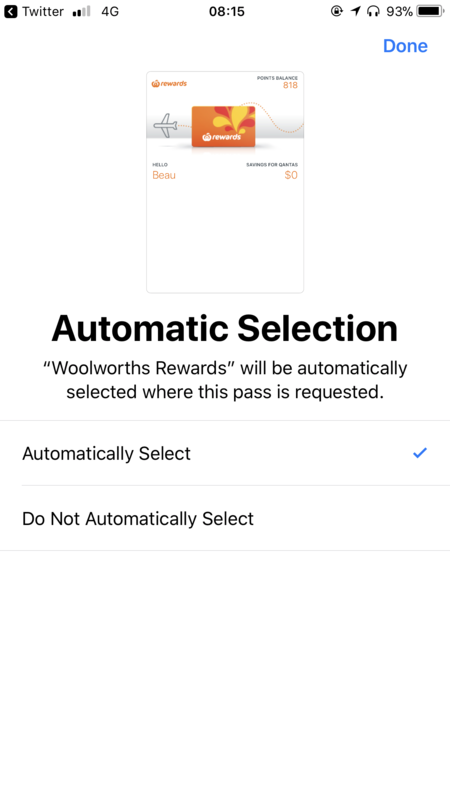 To use Woolworths Rewards at a store, just hold your iPhone (or Apple Watch) to the terminal when it shows ‘Tap iPhone to earn points’, use Touch ID to authenticate, and you’re done. When it’s time to pay, you can also use Apple Pay still – just hold your iPhone to the terminal, your default payment card will be selected, and then use Touch ID to authenticate. 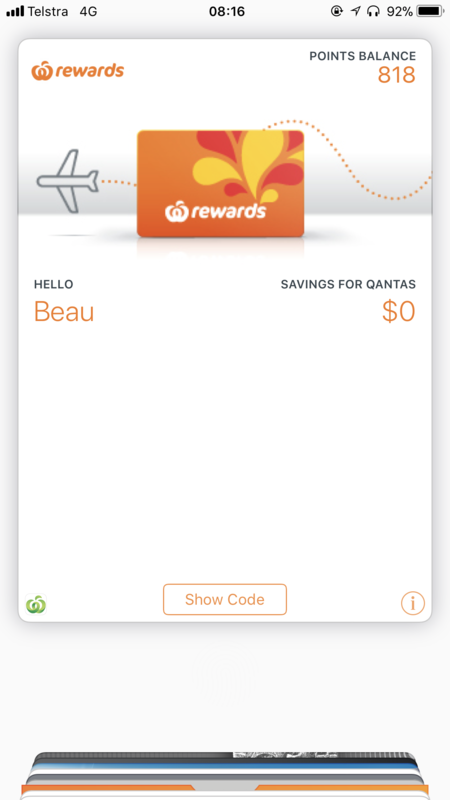 Unfortunately it doesn’t yet transmit both at once (eg, just tap your iPhone once to both pay and apply Woolworths Rewards), presumably due to the way Woolworths Rewards works – with the ability to take $10 off your final shopping basket. 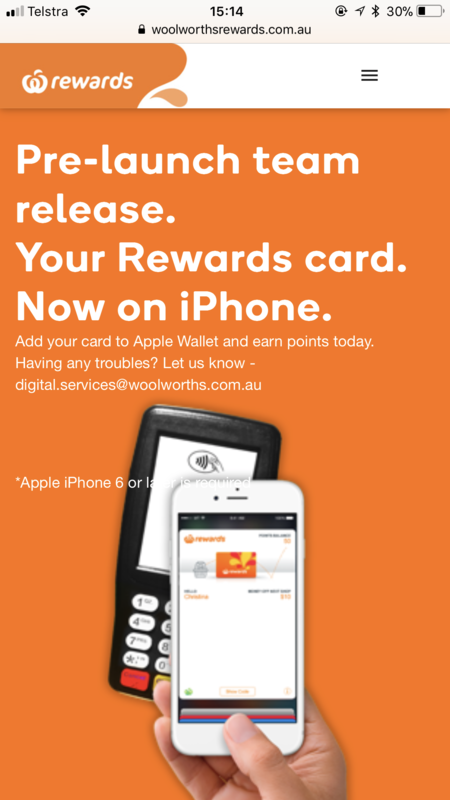 Woolworths Rewards is expected to launch October 16th, and will require an iPhone 6 or later (including the SE), and iOS 9 or later. I work for Woolies, and have been asking for this type of integration for ages. Happy to see it’s finally here. 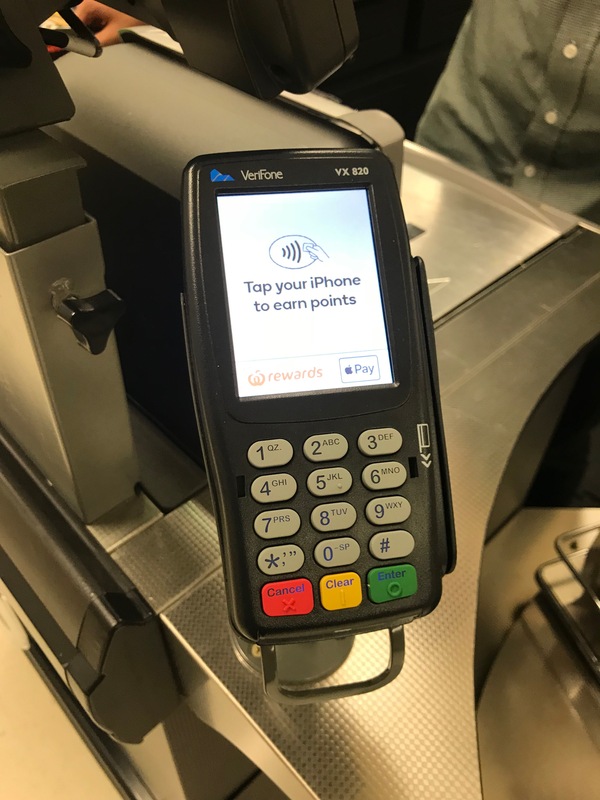 The EFTPOS terminals have had that Apple Pay Rewards message on them for a few weeks now, and customers keep asking what it is. 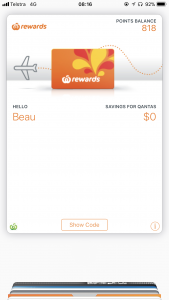 The other itching question is how have you added your flybuys to your Apple wallet?! Is this still working for people? I went to woolworthsrewards.com.au/iphone on my iPhone in Safari but when I log in it just takes me to my profile. I couldn’t find an option to add my card to wallet. Might be worth trying again directly on your phone Danielle – head to woolworthsrewards.com.au/iphone in Safari and try signing in again. Your 500 bonus points will be added to your account by 14/12/17. 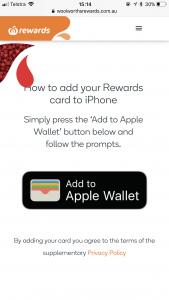 To be eligible for your 500 bonus points your Woolworths Rewards card must still be loaded onto your eligible Apple device on 14/12/17. Is this working also for iPhone SE? I log in to the webpage trough my phone with safari but I do not get the button that is displayed in the images above. Three different Woolies, three different times and I’ve checked online in instructions etc to make sure I’m not missing anything and it still doesn’t work – on Apple Watch 3rd Gen and iPhone 7. I’ve got it installed on my devices so I’m not filling up my wallet with cards. Not impressed Woolies. I am still having the same problem with my watch. Very frustrating. Nearly a year later and still Apple Watch doesn’t work with the Rewards card.